Penguins are some of the most interesting birds and, while there are many different varieties of penguins, most eat the same things and about 2 pounds of food a day. Considering a penguin' s size and how many of them flock together, it can be difficult for them all to find enough food everyday. Besides that, penguins cannot see in the dark, so all their hunting is done during daylight hours--an added challenge during the time of year when it is almost constantly dark in the Artic. But penguins have figured out a way to make it work, along with a little help from Mother Nature. The penguin diet is limited because most penguins live in such cold conditions (the African penguin has a wider range because it lives in a warmer climate). It consists of three main foods: fish, squid and krill. Penguins eat mostly krill and fish, with squid as a delicacy when they can get it. Penguins have a slightly different method of retrieving these different foods to eat. Penguins' mouths have a series of spines pointing down their throats, so when they catch food, it stays in their mouths. Penguins almost never chew their food, as they have no teeth other than these spines used for holding the food in place. This is extremely helpful when catching small foods like krill. To catch krill, a penguin typically jumps or slides into the water, then uses its beak to gather the krill like a net. 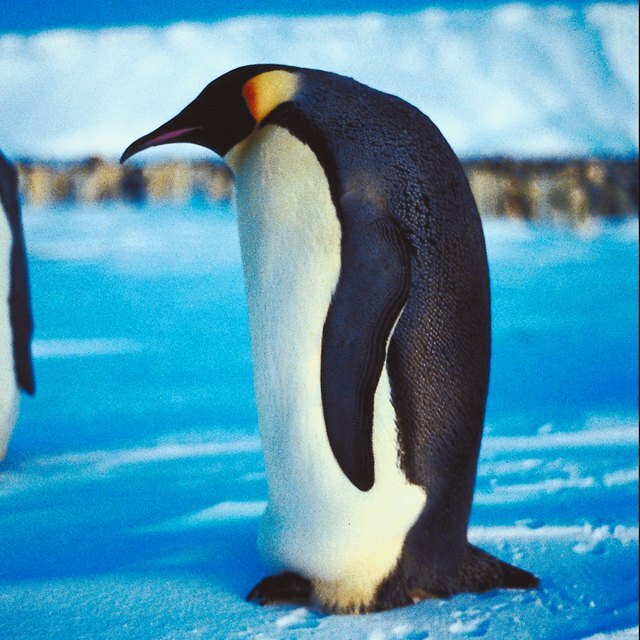 A penguin can also use its sharp beak to collect krill that is sitting on the underside of the ice. Penguins' sharp beaks with sharp edges is a huge advantage to gathering fish quickly. They slide into the water after a school of fish, swim along with the fish and catch fish one at a time, swallowing them as they go. When the penguins have had enough to eat, they climb out of the water and go to sleep. Penguins get squid to eat less often than either krill or fish because squid don't frequent arctic waters. When a penguin is lucky enough to spot a few (penguins eat small squid, around 4 to 5 inches long), he'll dive or slide into the water, swim quickly after the squid, and catch the squid in his mouth. A penguin's throat spines keep the squid from escaping out of his mouth. Then the penguin swallows the squid whole. Lee, Ezmeralda. "How Do Penguins Hunt for Food?" 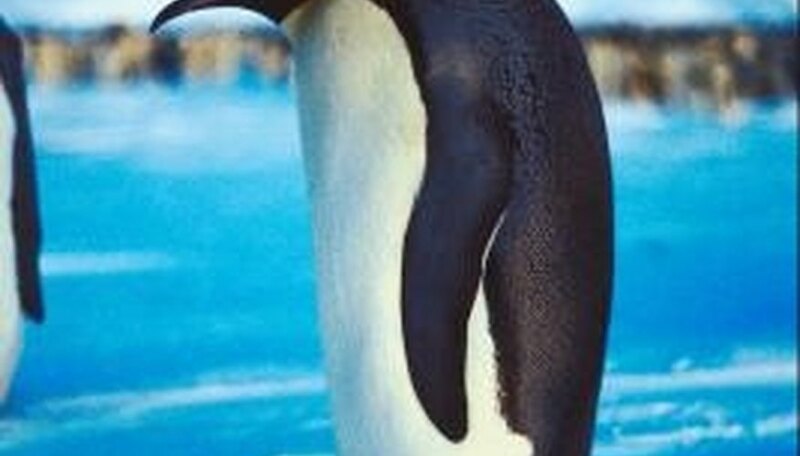 Sciencing, https://sciencing.com/penguins-hunt-food-4567269.html. 24 April 2017. How Do Penguins Feed Their Chicks?